1 Rinse dill, shake dry and chop finely. Soften gelatine in cold water and place dripping wet into a small saucepan, melt on low heat. 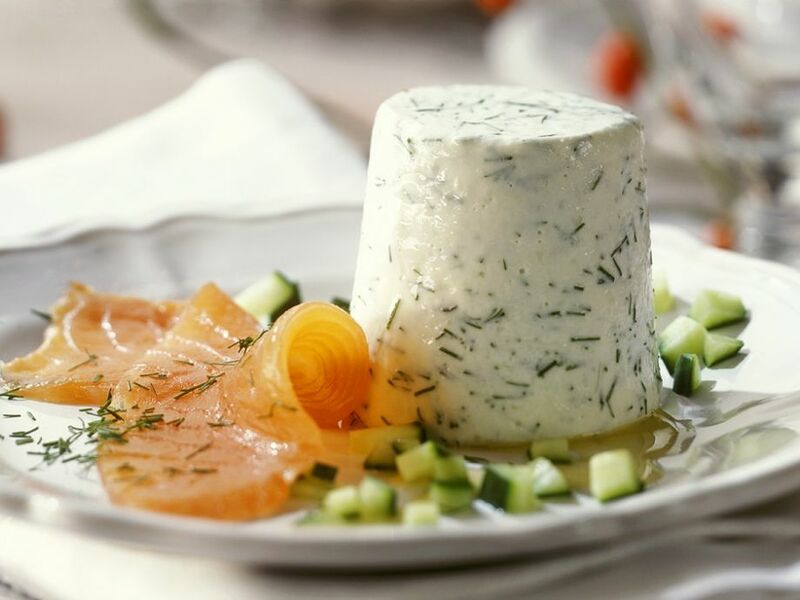 Combine gelatine with yogurt and dill and season with lemon juice, salt and pepper. Beat cream until stiff and fold into yogurt. Pour mixture into four ramekins and refrigerate. 2 Invert mousse onto plates and serve garnished with salmon slices and diced cucumber.